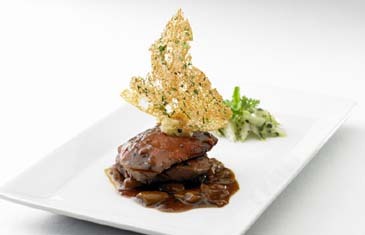 The Shilla Seoul's flagship restaurant Continental will hold the 2nd Gourmet Summit at 6:30 p.m. on Oct. 19, 2007. First introduced in May this year, The Gourmet Summit is continuously held to celebrate Continental's new unique menu which reflects the trend of modern French and global gourmet dishes. The event presents 10 courses of dishes including Lobster Carpaccio with Citrus Cream and Jeju Mango, Truffle cauliflower soup, Wagyu Fillet and Foiegras with Perigueux Sauce. Also, there will be selected wines of Cattier, Meursault 2004, Côte Rôtie΄Champin Le Seigneur΄ 2004 and Vinsanto del Chianti Classico 2000. Live Jazz will be performed during the summit for gratifying atmosphere. The price is 180,000 won, excluding tax and service charge.